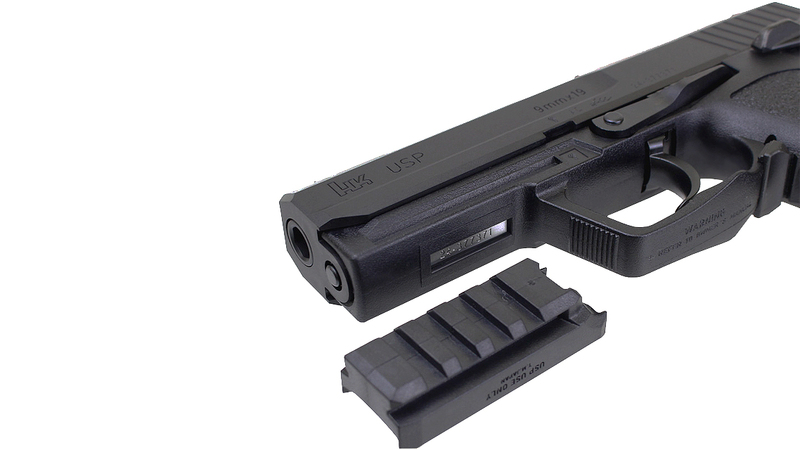 This is the brand new H&K USP Full Size model from Tokyo Marui. In production for several years, it's finally available! Used by many armed services around the world, including the Irish army. 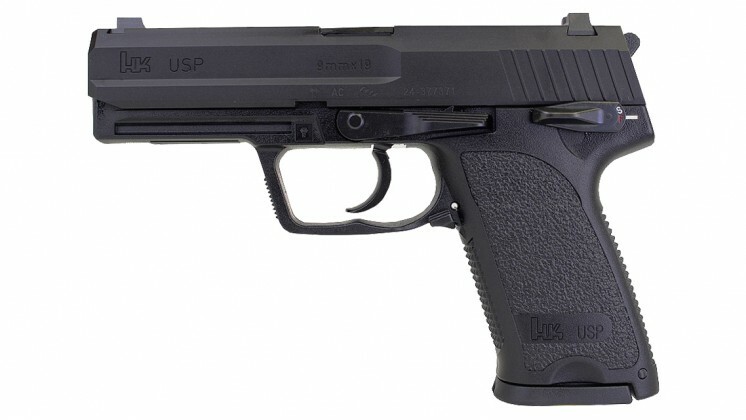 Being Tokyo Marui, this pistol comes with a high quality ABS plastic frame and slide, but has a great realistic matt finish and of course un-paralleled gas efficiency and snappy blowback. All controls are quite tightly grouped together, making them accessible to finger lengths of all sizes. The safety doubles as a working decocker and can be easily manipulated with a single finger. 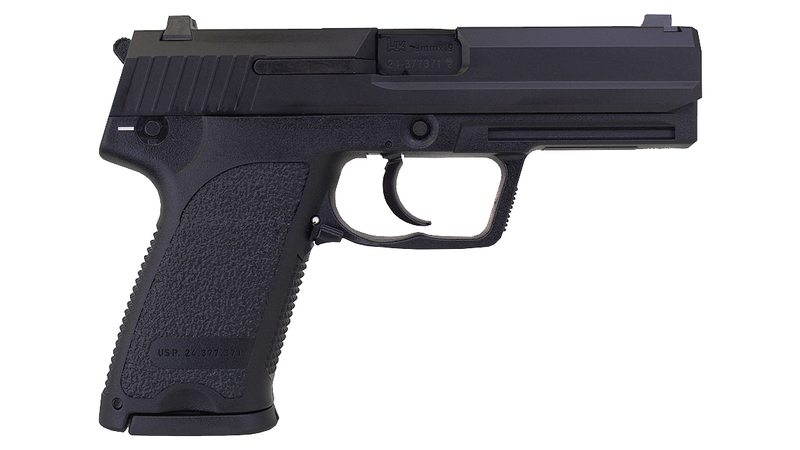 The magazine release is ambidextrous and large enough to be operated without changing your grip on the pistol. Features the prominent long slide release lever and enlarged trigger guard which the USPs are famous for, allowing use with thick gloves. Sports big dot white sights front and back and are steel construction. Metal magazine holds 25 rounds and is full metal. Other metal parts include the trigger, slide release, hammer and recoil rod. Green gas is recommended for temperatures below 20-22°C. Adjustable hop-up mechanism located inside the ejection port, just like the PX4 model. No need to remove the slide to adjust it, just turn adjustment cog with your finger nail when the slide is locked backwards. The dummy extractor on the right side of the slide is produced as a separate part, which is a nice touch. 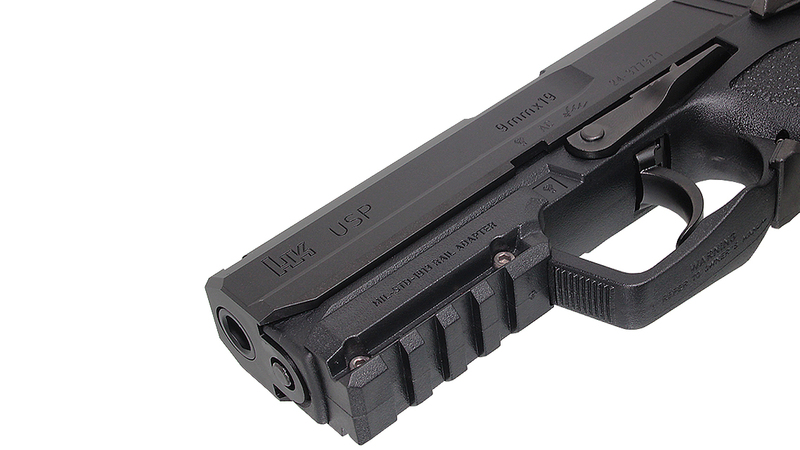 Sports the standard proprietary USP rail mount, which is suitable for H&K accessories. 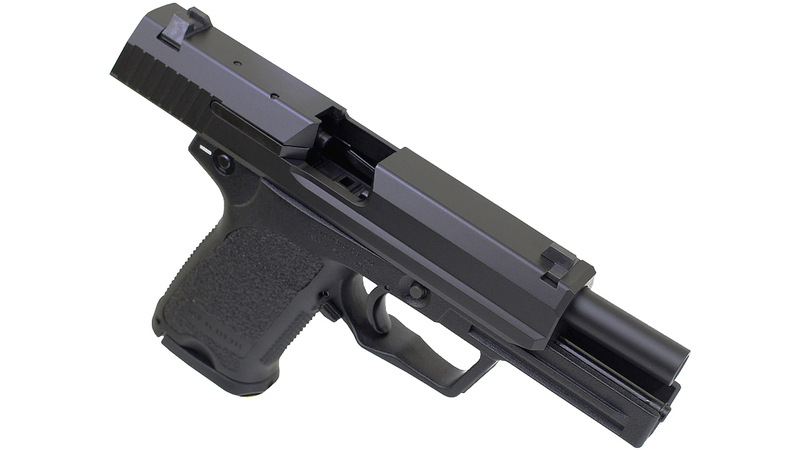 Marui have been good enough to include a detachable rail adapter, which allows the use of standard 20mm accessories. Weighs in at 860g which is a decent weight considering the pistol.